NEW TO THE CHILDREN’S HOUSE AT JOHNS HOPKINS! See your name or honor a loved one in our New Stairway of Stars! 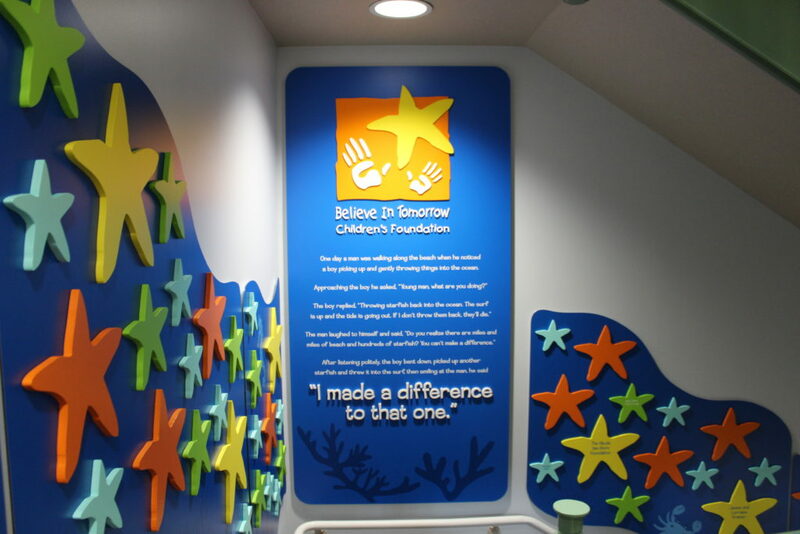 You can Purchase a personalized starfish in honor of a special someone, by pledging an annual, recurring donation for our new Stairway of Stars. Our atrium stairway is traversed daily by the families we serve, volunteers and visitors. Buy a Starfish today and support our mission of helping families to Believe In Tomorrow. Terms: Purchase of a personalized starfish is a commitment to pledging an annual donation for a minimum of 4 years. After the initial 4-year term, you have the option to renew. Renewal ensures that your star will remain a permanent fixture in our Stairway of Stars. Click here to purchase your starfish.